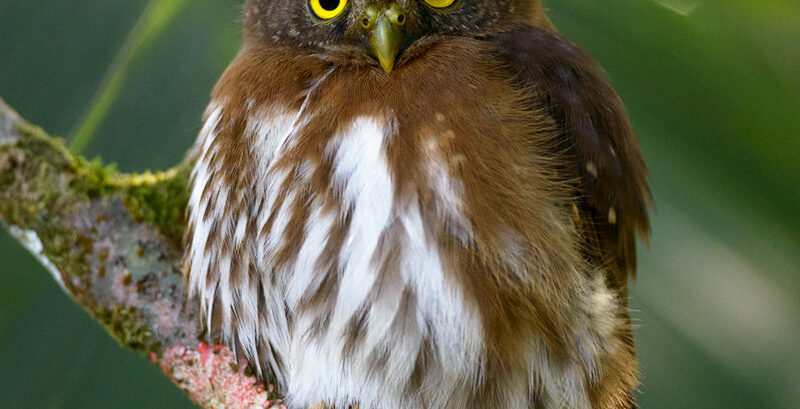 A new species of Pygmy-Owl (genus Glaucidium) for Brazil is currently being described. The discovery was made by ornithologist Luís Fábio Silveira during a scientific expedition to remote Pico da Neblina, the highest mountain in Brazil on the border with Venezuela end Colombia, in the Amazon Rainforest. 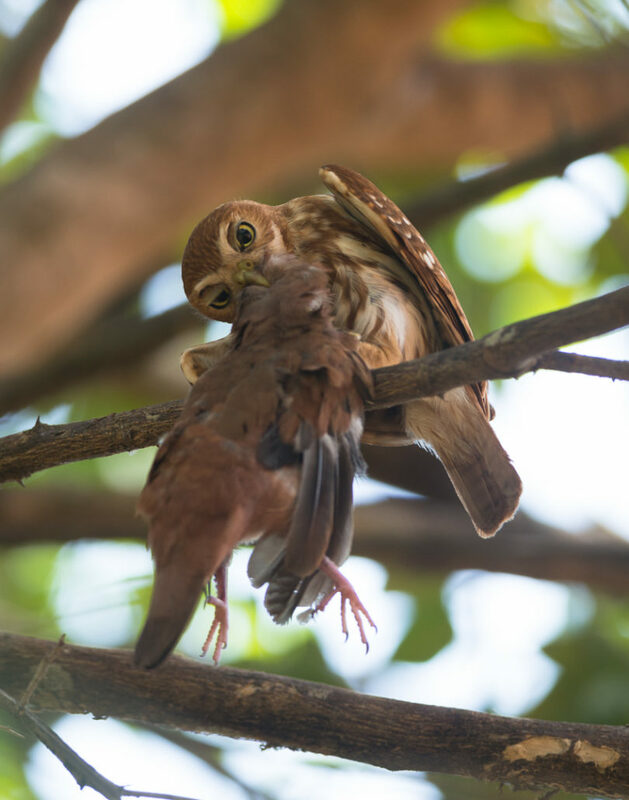 According to Luís Fábio the bird was singing very differently from other owls in the same genus and there was a suspect it could be a new species, so it was collected, at 2.200m high. After the bird was collected the ornithologist also noted important plumage differences, like the tail barring pattern. After its formal description this will be the 5th. 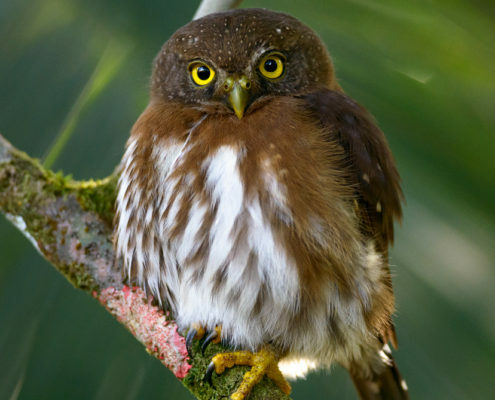 species of Pygmy-Owl in Brazil, although one of them is extinct, the Pernambuco Pygmy-Owl, due to the intense past deforestation of its habitat in NE Brazil. 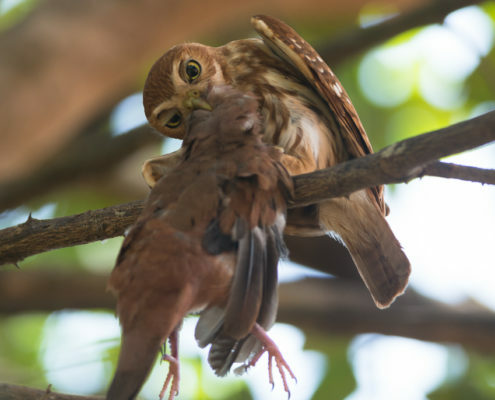 During our photo tours we often encounter the Ferruginous Pygmy-Owl in the Pantanal, a fierce little predator, capable of killing birds almost as large as its own body! 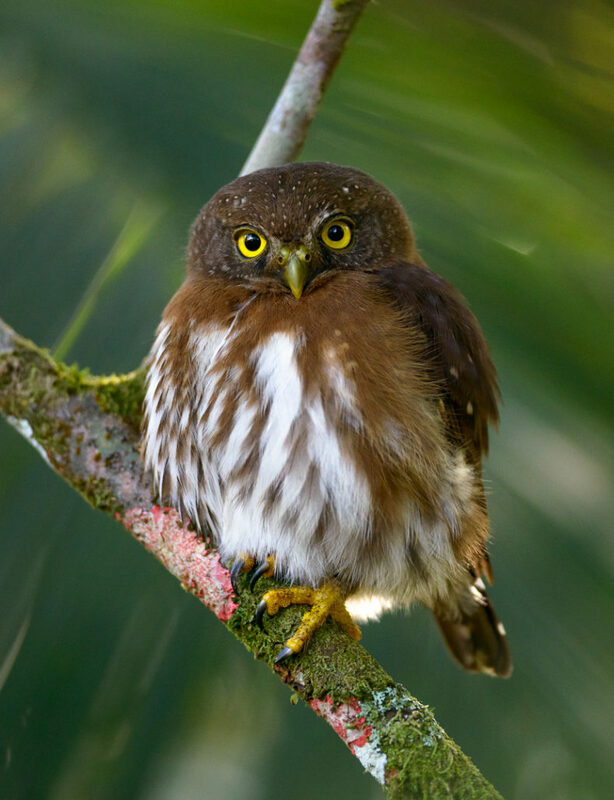 In our Atlantic Rainforest trips we also find sometimes the Least Pygmy-Owl. Both of them are pictured below. Jaguars on the rise! What birds survived the meteor that killed the dynossaurs?